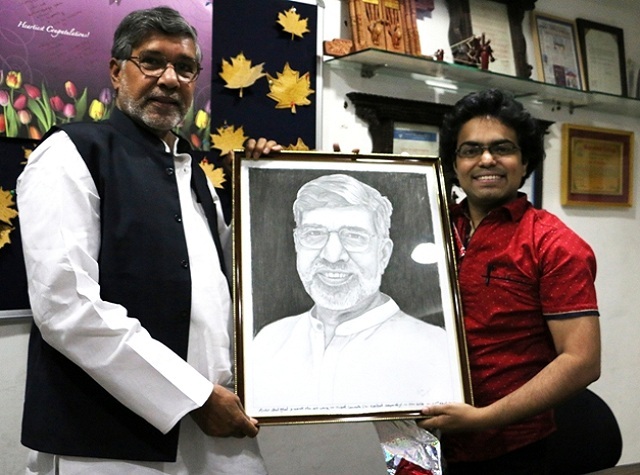 Nobel Laureate Shri Kailash Satyarthi ji founded Bachpan Bachao Andolan in 1980. Till then he has rescued close to 90 thousand children across the glob. 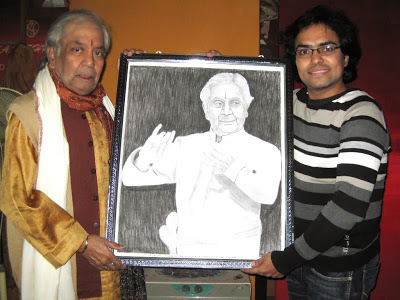 I got an opportunity to meet him and present my art work, his portrait. I got chance to recite poetry as well. To know more about this meet, please make a visit tomy blog-site. Thanks for being with me friends. Your presence feels me good and keep motivating to sketch finer & more beautiful and write something creative. 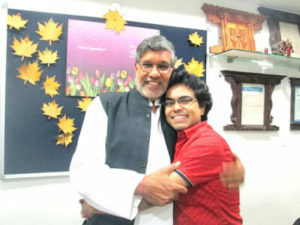 These were your wishes and blessings only which actually got me privilege to meet Nobel Laureate Shri Kailash Satyarthi ji. I got this opportunity to present my art work and recite my poetry as well. I had requested him couple of months ago but that time he was abroad. Last week I received an invitation from his “Bachpan Bachao Andolan” office in New Delhi to present my art work on 27th April 2016. I was quite happy to receive the invitation. Thanks to Mrs. Prema for setting up this meet with him. I reached his office 15 minutes before the scheduled time. Kailash ji was engaged with some other meeting which took little longer. Hence, my meeting got delayed by 45 minutes. He entered in the room where I was sitting. He handshakes first and ask my well being. He has an aura full of positiveness, that I felt in first impression only. We gave flowers to each other. 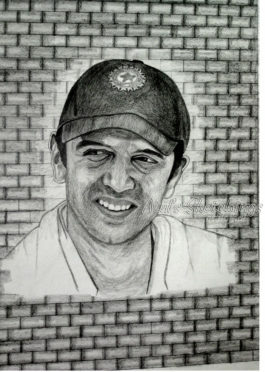 Now its my time to present my art work, his portrait. I unwrap it and presented to him. 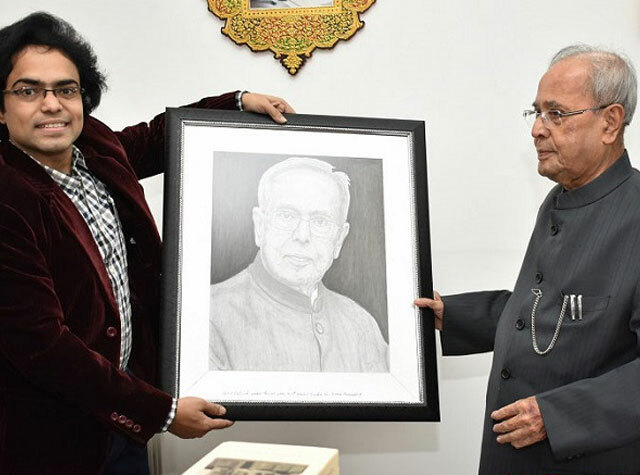 He was quite happy to see his portrait and appreciated my art very much. Below is the picture taken at the time of presentation. 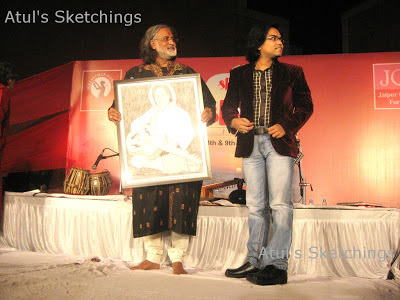 After art presentation I requested him to listen my poetry which was actually composed eve of this day. Poetry has three stanzas. It briefly covers his journey of “Bachpan Bachao Andolan” so far. He listened the poetry very sincerely. After completion of recitation he pat on my shoulder and appreciated my poetry as well. And finally I received what I dreamed of, a most affectionate hug from him. You could see in the below picture. And the meeting got over. He was tightly scheduled that day. He left for another meeting. Thanks to Kailash Ji for sparing his invaluable time ! Friends, thanks for reading this post. If you like it, do share with your friends. 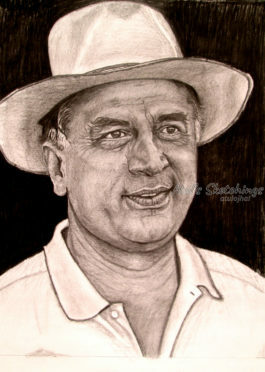 I shall come up with another fine art work soon. 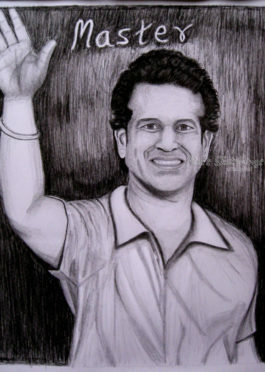 Do join my FB page Atul’s Sketchings and invite your friends there. Stay calm & cool and keep improvising yourself. 🙂 May God Bless you all ! 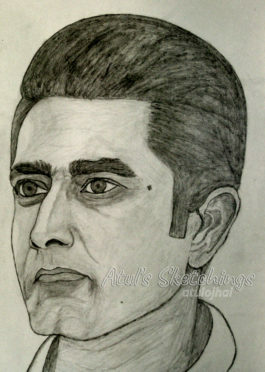 © 2019 Atul's Sketchings. All rights reserved.